In order to understand the needs of patients and families and the aspirations of staff, a team of medical oncology consultants, administration, nurses, pharmacists, desk operations, scheduling, medical secretary, facilities, systems and procedures, architects, and the Center for Innovation was formed. 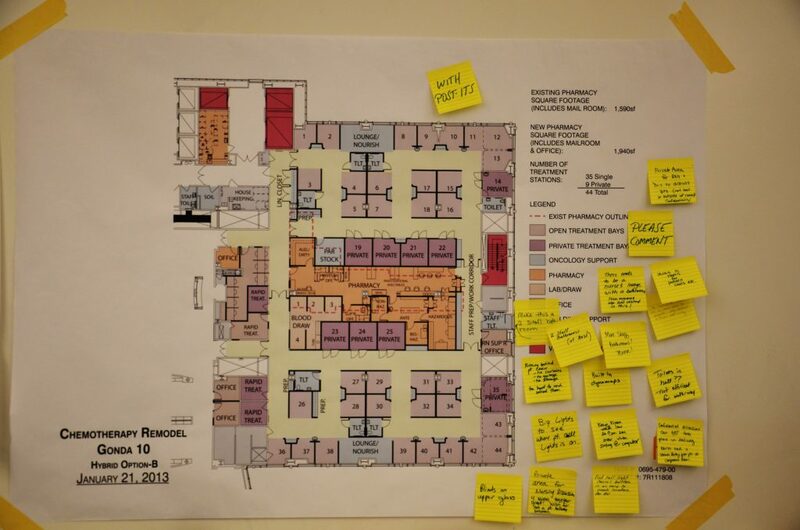 The design research process included interviews, observations, surveys, secondary research, experiments, and interactions in a full-size mock-up to support the design of a state-of-the-art facility for chemotherapy patients at Mayo Clinic. The process of continuous prototyping was put in place as a dynamic learning tool. Physical prototypes changed the conversations from hypothetical to practical by bringing operational needs and patient experience to the forefront. Chemotherapy patients and their guests experience a wide range of physical and emotional needs, which we were able to incorporate into the unit while providing the highest quality of care. Architectural plans provided maximum private treatment spaces, a larger pharmacy, special lounge/nourishment areas with corner window views, and nursing stations dispersed throughout the unit. 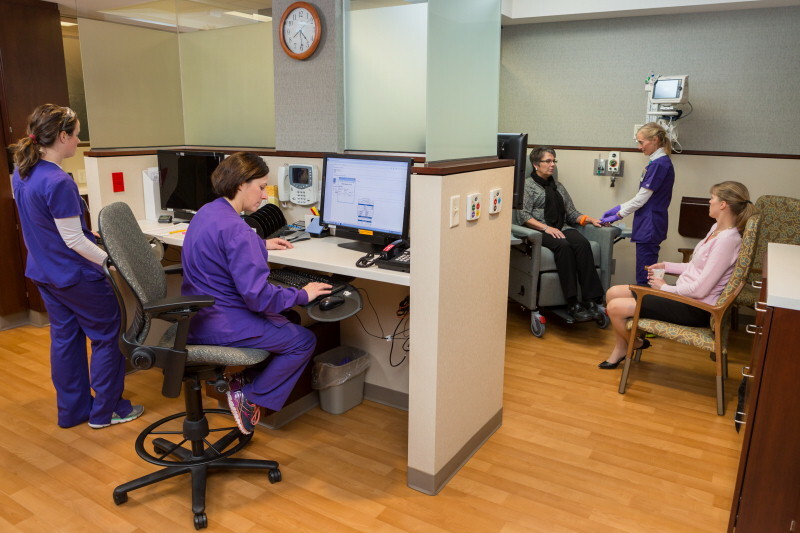 The redesigned chemotherapy spaces at Mayo Clinic opened to patients in 2015. The serene, comforting and healing environment promotes efficient treatment and timely access. The new destination medical building in Mayo Clinic Florida and Mayo Clinic Cancer Center in Arizona also utilized the insights from this project.